Financial distress recently took center stage, as homeowners faced never-before-seen market conditions. Following an unprecedented mortgage industry downturn, many families found themselves in unfamiliar territory, weighing less than desirable financial options. And while the market has recovered in many ways, foreclosure, bankruptcy and sales under duress are the lasting impacts for homeowners forced to rein-in their financial commitments, using these last-ditch alternatives. Homeowners ideally meet their obligations with lenders, staying current with repayment until their loans are satisfied. Occasionally, short-term difficulties arise, which can often be overcome by taking proactive steps with banks, credit unions and others holding mortgages. In worst-case scenarios, however, drastic measures are required. Short sales, for example, permit owners to bring their homes to market for less than the value of outstanding loans. And foreclosure proceedings remedy default by transferring ownership to mortgage holders, enabling them to recovery losses by selling the properties. 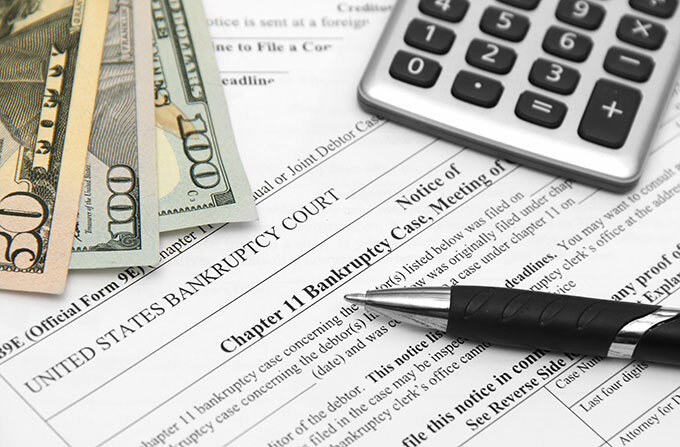 Bankruptcy, another alternative for troubled consumers, has long-term implications beyond property ownership, sending filers to court for settlement. With multiple options available for addressing financial irregularities, it is important to understand the requirements and lasting impacts of each approach. When household earnings do not keep pace with financial obligations, corrective measures must be taken, in order to re-align finances. And since property generally represents the most extensive individual financial commitment, mortgage measures yield the most potential for freeing-up funds. Unfortunately, for many, addressing mortgage problems also means losing the family home. While foreclosure presents a likely remedy for many troubled home owners, another alternative may furnish similar relief, without the drastic, long-lasting impact of foreclosure proceedings. Short sales still adversely impact credit ratings, to be sure, but the damage is less substantial than some alternatives. Short sale assists home owners unable to keep pace with repayment. Also known as pre-foreclosure sales, the process protects lenders and borrowers, helping them come to terms on equitable home sale deals. Under the parameters of a short sale, banks and credit unions essential agree to allow buyers to sell their homes for less than they owe on their outstanding mortgages. It behooves lenders to make-up as much of the deficiency as possible, so asking prices for short sale homes are usually closely tied to their remaining unpaid mortgage balances. The short sale process is subject to requirements advanced by each lender, so cases unfold according to their directives. In some examples, homeowners are required to bring an offer to purchase along with their request for a short sale. In other words, some banks will not entertain the notion until a home owner markets the property and attracts an interested buyer. Doing so can be through FSBO (For Sale by Owner) efforts, or with the help of a realtor. For the best results, owners are encouraged to choose real estate professionals familiar with the short sale process and experienced conducting such transactions. The short sale process is protracted, when compared to conventional real estate transactions. To initiate the process, most banks require the following documentation from sellers – at a minimum. The advantages of pursuing a short sale, rather than allowing foreclosure, include faster credit recovery. While mortgage foreclosure lingers on credit records for a minimum of 7 years, owners successfully executing short sales may be able to restore their ability to borrow money in as little as half the time. It is important to note, however, that a creditor's willingness to conduct a short sale does not necessarily excuse the entire debt – especially when multiple loans are tied to the same property. And because debt forgiveness is sometimes considered personal income, tax implications may include higher payments for sellers pushing short sales forward. In fact, a law designed to hedge against hefty tax liabilities for loan forgiveness has expired; leaving consumer's to foot the tax bill for cancelled debts treated as income under the federal tax code. Mortgages help borrowers buy homes, extending credit for tens-of-thousands of dollars to approved applicants. Because each loan is guaranteed by the value of real property (the home itself), they are considered “secured” loans. A lien is placed upon each property until the note is fully paid, at which time the deed of ownership is officially registered to the buyer. Foreclosure occurs when homeowners fail to make agreed-upon payments toward outstanding mortgages. A single late payment does not lead to foreclosure, which typically results from ongoing difficulties. Once delinquency shifts to default, and no other options are available to remedy shortfalls, banks and other creditors use foreclosure to minimize losses and recover funds issued for home purchases. When a property is foreclosed, ownership reverts to the lender holding the note, so it can be resold. Typically offered at auction, properties that do not sell remain lender-owned – to be sold on the open market. Before this occurs, however, several conditions must be met. And though individual states determine exactly how lenders must proceed, a typical process includes the following steps. Failure to Make Payments – When borrowers miss scheduled payments, lenders attempt to collect. Whether due to hardship such as job loss, divorce or death of a spouse or simply resulting from a conscious decision to stop making loan contributions, missed payments eventually lead to further action. Public Notice of Default – Once multiple months have passed without payment, lenders take the next step toward foreclosure, meeting legal requirements for public notice. Depending upon the municipality, notices are placed in print and/or at the physical address of the property where payments are in arears. The function of public notice is to inform borrowers of the lender's intention to proceed with seizure and ultimately, eviction. Pre-Foreclosure Stage – Following public notice, borrowers enter a pre-foreclosure grace period, during which they can make accommodations with lenders to remedy default. The length of this stage varies, depending upon state and local laws. Allowable concessions are largely in the hands of lenders, which maintain their own policies for helping clients avoid foreclosure. If mutually agreeable terms are not reached, the process moves to the next stage. If, on the other hand, delinquent balances are paid-off, proceedings cease and terms are restored. Trustee Auction – At the conclusion of the pre-foreclosure grace period, the mortgagee and its trustee are free to bring the property to auction. Information about these trustee sales is posted in various places and notice is served to the borrower in default. Right of redemption laws, present in many states, allow a delinquent mortgagor to make good on his or her loan right up until the property is sold to an auction bidder. 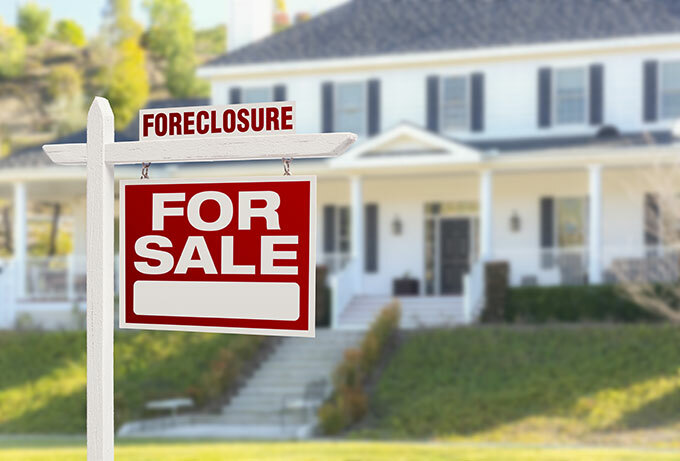 Real Estate Owned – Foreclosed properties not sold to third-party auction bidders revert to lenders, becoming bank-owned or REO (Real Estate Owned). Once in lenders' hands, REO homes are commonly listed with local real estate agents, to be sold on the open market. Other alternatives are available, but selling through experienced agents generally leads to the highest recovery amounts for bank/sellers. Under some circumstances, a borrower can avoid the foreclosure process by agreeing to give the home back to the bank under a “deed in lieu of foreclosure” agreement. The alternative results in similar outcomes for borrowers, who still lose their homes, but can simplify the process for all involved parties. Faster and more straightforward than the foreclosure process, deed in lieu also mitigates the amount of credit damage experienced by defaulting borrowers. Another caveat influencing debt recovery, which applies to mortgages, relates to the distinction between recourse and non-recourse loans. The former essentially leaves nothing off the table for lenders pursuing compensation, while the latter carries limitations. A typical non-recourse loan would only allow a lender to pursue assets tied to the loan itself. Non-recourse mortgages that end in default, for example, allow mortgagees to attempt recovery by selling the financed property, but exclude them from wage garnishment or asset seizure to remedy damages beyond monies taken-in from the sale. Because they offer greater latitude for making-up deficiencies, recourse loans are favored by lenders. And though borrowers would rather enter into non-recourse deals, only applicants with the very best credit scores are considered for them, when available. Does Bankruptcy Furnish a Fresh Start? Another path to financial relief for some troubled consumers is to file bankruptcy. The process addresses very specific conditions, so in fact may not provide the fresh start filers seek. Those considering filing bankruptcy are urged to look closely at their circumstances, to determine whether or not this is the best approach. Bankruptcy takes several forms, the most common of which are known as Chapter 7 and Chapter 13. Each alternative has advantages and limitations, so the preferred approach depends upon the circumstances surrounding each case. For many, Chapter 7 is the favorable form of filing, because it eliminates a large share of unsecured debt. Although it is the path of least resistance for clearing delinquencies, not everyone seeking bankruptcy qualifies for this option. In order to move forward with a Chapter 7 filing, a debtor must pass a test evaluating his or income and ability to repay outstanding obligations. This means test stipulates that if an individual's average monthly income during the six month period leading up to a bankruptcy claim is less than or equal to the median income in their state of residence, they may be eligible to file Chapter 7. Those with incomes greater than the median standard are prohibited from this path and must consider other alternatives. The means test essentially identifies disposable income that could be directed toward existing debt, preventing those with repayment capabilities from discharging their financial obligations. In addition to the types of outstanding debt present and the expectations held about potential bankruptcy filings, personal factors also influence debt forgiveness outcomes. Some debtors, for example, would simply prefer to enter Chapter 13 repayment arrangements, rather than have their bills excused by Chapter 7 filings. In other cases, clear-cut goals, like retaining possession of a home or car, are enough to guide debtors down a particular path. In any case, filing bankruptcy is a last resort, which should be pursued only when dire circumstances mandate extreme measures. Attempts to avoid bankruptcy should be entirely exhausted before taking further steps toward debt forgiveness. By working with creditors to establish informal payback arrangements – whether restructuring, deferment, or other creative financing; many people experiencing cash flow difficulties are able to stave off bankruptcy. When no other remedy exists, legal advice should be sought. Bankruptcy attorneys are familiar with the landscape, including the Bankruptcy Abuse Prevention and Consumer Protection Act of 2005, which makes it more difficult for filers to manipulate the system for personal gain. Unlike Chapter 7, or “straight bankruptcy”, which seizes assets and distributes them among creditors, Chapter 13 filings create repayment plans, under which debtors can make good on financial obligations and avoid giving-up possessions. Limitations apply, so filers with more than $1 million outstanding may not be eligible for this form of debt forgiveness. The process takes 3-5 years to complete, and is supervised by a court-appointed trustee charged with managing repayment. The reorganization plans lay out budgets, which ultimately account for all or most of each filer's unpaid commitments. In order to proceed, those considering bankruptcy must first attend government-approved credit counselling sessions. With the help of professional analysts, participants identify their options and determine the most reasonable course of action. In addition to counselling, attendees earn the necessary course certification required for filing. Once approved, reorganization ensues and filers make steady payments to trustees assigned to their cases. Struggling property owners striving to keep their homes are well-served by Chapter 13, because it stops foreclosure proceedings and enables them to catch up with repayment. Protected by court-ordered financial reorganization, collateral for secured debt is off-limits to issuing creditors, provided a filer stays current with the terms laid forth. Unfortunately, many on those granted Chapter 13 privileges are unable to complete the process. Failed reorganization efforts can be converted to Chapter 7, in some cases, or dismissed – leaving cash strapped individuals in worse positions than they experienced prior to filing. Completing the process, on the other hand, places debtors on firm ground with mortgage holders and other secured lenders, while discharging unsecured debt. The protracted procedure requires discipline maintaining tight budgets set-forth by the courts, and successful participants must also meet post-bankruptcy terms. Post-bankruptcy education is a mandatory part of the filing progression, designed to instill money management and budgeting skills. Enlightening consumers who've been through the process reduces the chance they'll repeat the same pattern and helps protect their fragile credit ratings. The lingering impacts of bankruptcy depend upon an individual's financial health prior to experiencing difficulties, but FICO scores should be expected to drop substantially. Bankruptcy appears on consumer credit reports for 7 to 10 years following each incident, and some debt collectors who buy old files for pennies on the dollar harass people to try to collect on debts which have already been cleared. Cash flow problems lead to extreme measures, at times, including short sale, foreclosure, and bankruptcy. In order to control outcomes, it is important to understand how each approach will impact debt, credit health and personal assets. For those with clearly defined goals, like maintaining home ownership, a particular path may prove more realistic than another. Professional legal guidance helps sort out options and implications, turning troubled debtors toward workable solutions. In the end, many struggling consumers are able to avoid dire consequences and achieve their debt management objectives.